Outdoor enthusiasts sometimes have to be a little creative during the chilly winter months. There aren’t as many options then as there are during the rest of the year. Cold winds, ice, and snow can make enjoying the great outdoors a lot more challenging. For those who love to fish, ice fishing is a very popular and enjoyable hobby. It’s a great way to bond with family members and friends as you sit huddled in an ice house waiting for the fish to bite. It can be something to do to get out of the house and catch a nice meal that can last for days or weeks. There are many different kinds of ice fishing rods and reels and other kinds of related equipment like ice fishing fish finder that you can buy. Having the right gear for your day on the lake or pond should be one of the most important considerations. Consider your ice fishing needs so that you don’t buy more gear than you could ever want or need. Remember, that you’re going to have to haul everything that you take with you onto the lake and back, so it’s best to buy and pack in moderation. Ice fishing is a great cold-weather sport, but it’s also a recreational activity where you have to keep your safety in mind. You shouldn’t consider going out on the lake unless there are at least four inches of solid ice or more. If you’re not sure how thick the ice is on your lake, you can drill holes to test the thickness. The thickest ice is usually found near the edges of the lake. Ice that’s eight inches thick or more is safe enough to support the weight of cars, trucks, four-wheelers, and snowmobiles. Also, remember to use the buddy system whenever you go ice fishing. This is helpful if someone in your party is ill or falls through thin ice. Maintaining your body temperature during ice fishing season is very important this time of year. One of the best ways to do this is to avoid being overheated. 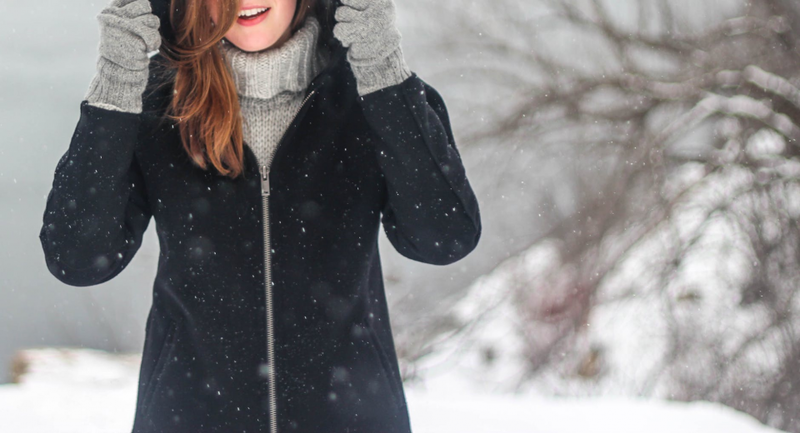 Wear enough layers of clothing that will keep your core warm and transfer heat to your hands and feet. Take along a good pair of waterproof boots. They will keep your feet dry while you’re fishing and prevent heat from escaping. You can also bring along a collapsible or pull-over fish house or shelter. Some of them have electricity so that you can plug in your favorite devices while you’re waiting for your bobber to go down. You’ve got your ice fishing rods, reels, and bait. Don’t forget to bring enough line for your reels. An extra spool or two can come in handy if your line tangles or breaks, or if you just want to try something new. Lighter line is usually harder for fish to see and fits well on undersized rods and reels. If you’re using a steel leader or fishing for larger fish like walleyes or muskies, then you may want to go with a little heavier line. 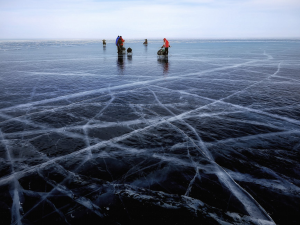 Some ice fishing purists prefer to wait for their catch relying purely on instinct and luck. If they’re not having success at a particular fishing hole, they just move on, drill another hole in the ice and repeat the process. However, using technology to help you find out where the fish are is not a bad thing. There are many kinds of electronic fish finders that can take the guesswork out for you. Some of them come with electronic flashes that send a sonar beam down below the surface of the ice. This beam lets anglers watch for incoming fish using a series of colored lights on the fish finder. It can take a little time to master this system, but once you see an approaching fish on the dial, you can let your line down and have much better success. One of the most important aspects of any sport is to enjoy participating in it. Whether you’re having a good day or a bad day on the lake, waiting for fish to bite is always something to look forward to. You get to spend time in the great outdoors either by yourself or in the company of other fellow angling enthusiasts. If you catch a fish that’s too big, too small or out of season, remember to practice catch and release. This gives others on the lake more chances to enjoy their day on the lake. These are just some tips for having a good ice-fishing trip. Make sure to stow away your gear at the end of the day and don’t leave any garbage or other items on the lake when you leave. Ice fishing can be a challenging sport, but the time and dedication put into it can be very well worth the effort. You get to do something fun and make memories with family and friends that can last a lifetime. Great post, I am really astonished to see the post here. I just loved it, thanks.